I’m sorry for the delay in posting this, guys! I had everything done earlier, but didn’t get a chance until this evening to sit down and write it out. So for today’s Flakie Friday, I decided to go in a tiny bit of a different direction- Essie’s As Gold As It Gets! 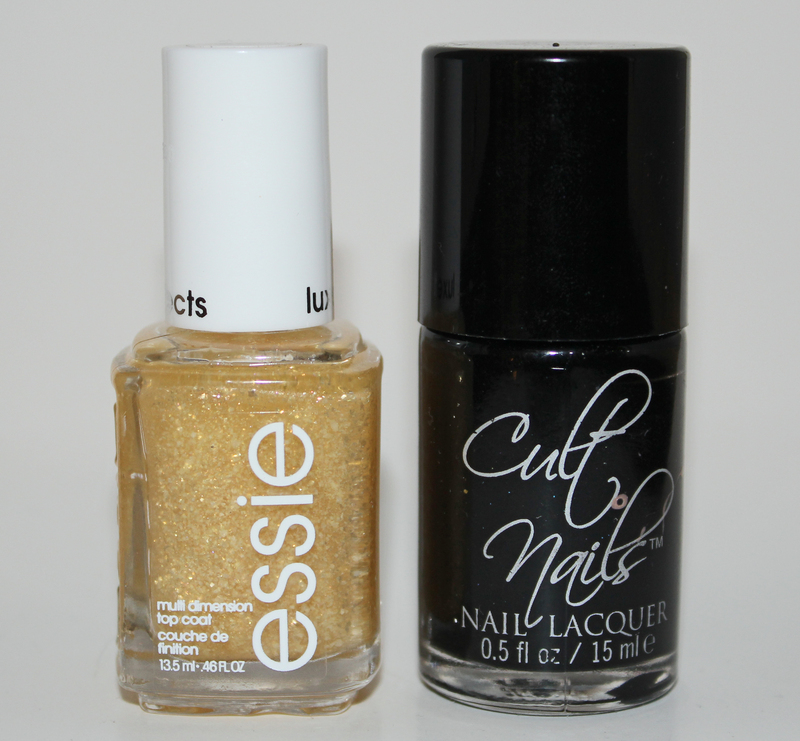 As Gold As It Gets is part of Essie’s LuxEffects collection, which can be found in most drugstores, Target, and Walmart. It’s a beautiful GOLD flakie! This is also packed with a very fine, pretty iridescent shimmer. The flakes are very delicate, so you won’t notice any chunkiness wearing this. I stuck to the basics again this week- pairing As Gold As It Gets over Cult Nails Nevermore, my go-to black polish. Even though it can get ‘boring’ sometimes, black is almost always the best underwear to really show a flakie off! All of these photos were taken outside in the sunlight, which is where I try to take most of my pictures. We’ve had rain (hallelujah!) every day this week though, so this is the first outdoor shot of the week. See the faint microfine glitter? It adds a pretty rainbow effect to the topcoat. This is REALLY noticeable outside! This was 1 coat of Nevermore, topped with 1 coat of As Gold As It Gets. That’s just 1 coat! As an added bonus, having a manicure with just 1 coat + 1 topcoat means it’s dry FAST. And as a fun bonus picture: Here’s a comparison shot of Sephora’s It’s Real! 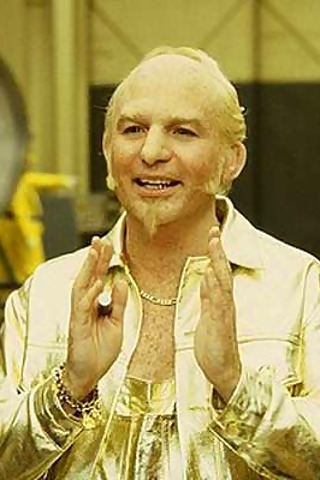 18k gold topcoat. Disclaimer: I don’t actually own this polish (though I have every intention of buying it hopefully soon). I did this exact manicure (AGAIG over Nevermore) about a month ago, and we happened to go to the outdoor mall that is home to Sephora that day. I happily used the tester of It’s Real!, and then came home and took photos. Because that’s totally what normal people do. Anywho- you can faintly see AGAIG under It’s Real! if you look close enough. So this should be a pretty good way to show how different they are! It’s Real! was absolutely stunning on my fingers, I could not stop staring that day. As soon as I save up get the guts to chunk down $30 on a topcoat, it will be mine! Be sure to check back tomorrow and Sunday- while I don’t normally do weekend posts, I have a lot to share so I’ll have 2! Tomorrow will be featuring some new indie colors generously given to me (that will be available Sunday for sale! ), and Sunday I’ll be showing off Essie’s new Blue Rhapsody and Stroke of Brilliance! This entry was posted on July 13, 2012 by The Polish Monster. It was filed under Uncategorized and was tagged with Cult Nails, Essie, flakie, Flakie Friday. Haha I totally did the same thing with that top coat in Sephora. It didn’t really go with my manicure at the time (violet with hearts) but that didn’t matter to me! Yes! I just have not been willing to take the plunge… so I satisfy the urges by using theirs 🙂 They actually seem to really encourage that though- a girl working there did a full Ciate caviar mani on my 4 year old!